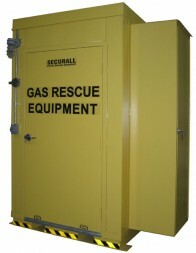 Turnkey Emergency Rescue Building with Double Door Entrance, best suited for emergency response teams. Approx. Ship Weight - 7,000 Lbs. 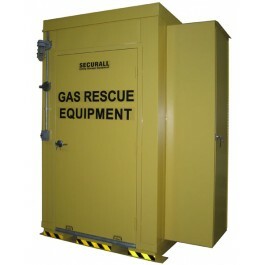 Get special prices and quantity pricing today. 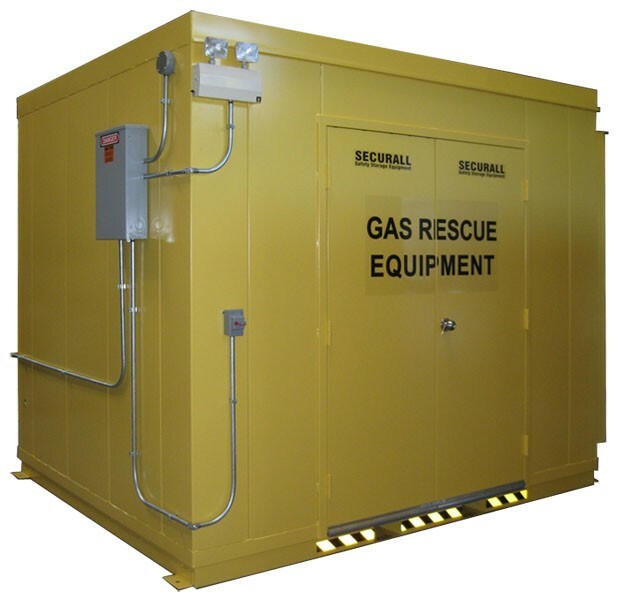 Whether you are a steel manufacturing facility in Indiana and are required by law to install Gas Rescue and Emergency Rescue lockers or buildings or simply strive to improve safety and compliance of employees and facilities, our full line of safety buildings are best suited for your needs. 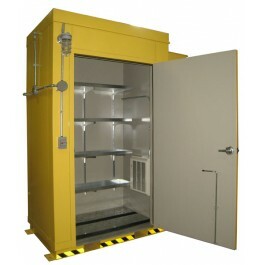 Turnkey or custom built to any size and configuration. 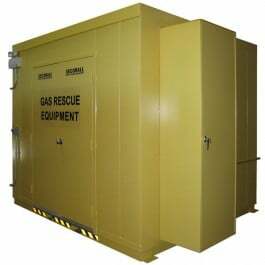 Our American made gas rescue lockers are primarily used by steel manufactures for the storage of emergency response equipment. 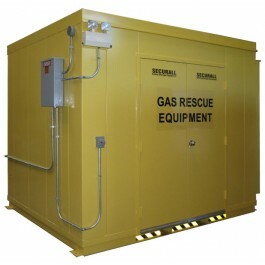 Our buildings and lockers allow emergency responders and first responders to quickly and easily get on there protective clothing in a safe and well lit environment. 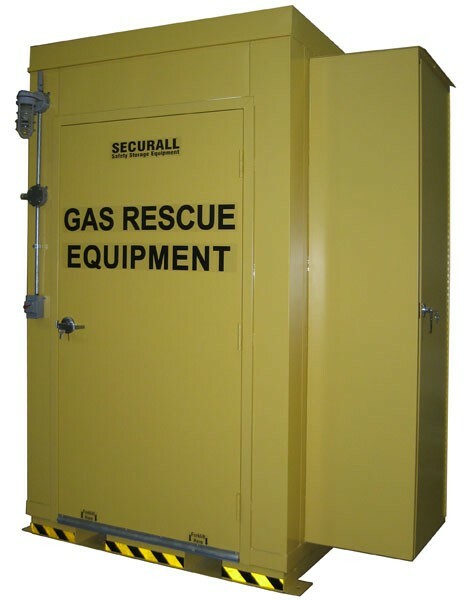 Once inside and dressed the emergency responder can then sound an emergency audio/visual alarm system and grab any and all of the equipment they need to deal with the emergency at hand.